Illinois Early Intervention (EI) Program services end when a child turns age 3. 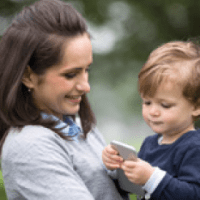 To give you time to plan for this change in services, the law requires that your EI team begin planning for transition six months before your child’s third birthday. This allows you adequate time to find out if your child is eligible for early childhood special education services through your local school district. Not all children will qualify. The Illinois State Board of Education is the state agency responsible for special education services for children age 3 and older. Here are the steps and your role in the process. Step 1—Sign a Consent Form for Referral. When your child turns 2½ years old, your EI service coordinator will ask you to sign a consent form. Your consent is needed to release information about your child to your local school district. This begins the referral process. You can accept or decline the referral. Step 2—Attend a Transition Planning Conference. Your service coordinator will arrange for a planning conference at least 90 days before your child turns age 3. The meeting may include a representative of your district or other community services, such as preschool or Head Start. This is a meeting to learn about possible services for your child and to share information about your child. Step 3—Participate in an Evaluation. What is your child’s current developmental status and functional performance? Does your child’s disability affect his or her ability to engage in age-appropriate activities? Step 4—Determine Eligibility and Plan Your Child’s Individualized Education Program (IEP). You will meet with school district staff to discuss the evaluation findings and determine if your child is eligible for special education and related services. You may want to invite a family member or friend. The IEP meeting will take place when your child turns 3 or before. If your child is eligible, then the IEP team and you will choose goals for your child for the next year. The goals are used to identify services and providers and to plan where and when services will be provided. If you agree with the IEP, you will be asked to sign it. If you disagree with the IEP, you can ask for another meeting to discuss your concerns. If you cannot resolve your concerns with the team, you have several legal options, which you can discuss with the district. If your child is not eligible for special education and related services, then your EI service coordinator will help you to consider other options or activities in your community. 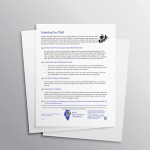 Step 5—Preparing Your Child and Family for Transition. 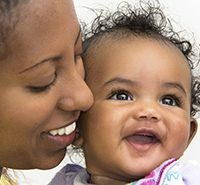 Your service coordinator or provider will suggest ways to prepare your family and your child for the end of EI services and the start of other preschool activities and services. For example, she may suggest that you visit the new program or work on self-help skills (dressing, taking turns, sharing) that will be helpful in preschool. For more information on your family’s roles and rights during the transition process, see When I’m 3, Where Will I Be? A Family’s Transition Workbook.